Lark Sailing options Barrett Aventures. - Barrett Adventures the Real Jamaican Adventures. A day sail will take you snorkelling at Secrets Reef while it is still calm. After we have enjoyed the reef we will go for a lovely sail up the coast. A full day sail (eight hours on the water) includes lunch in addition to the above mentioned drinks and snacks. 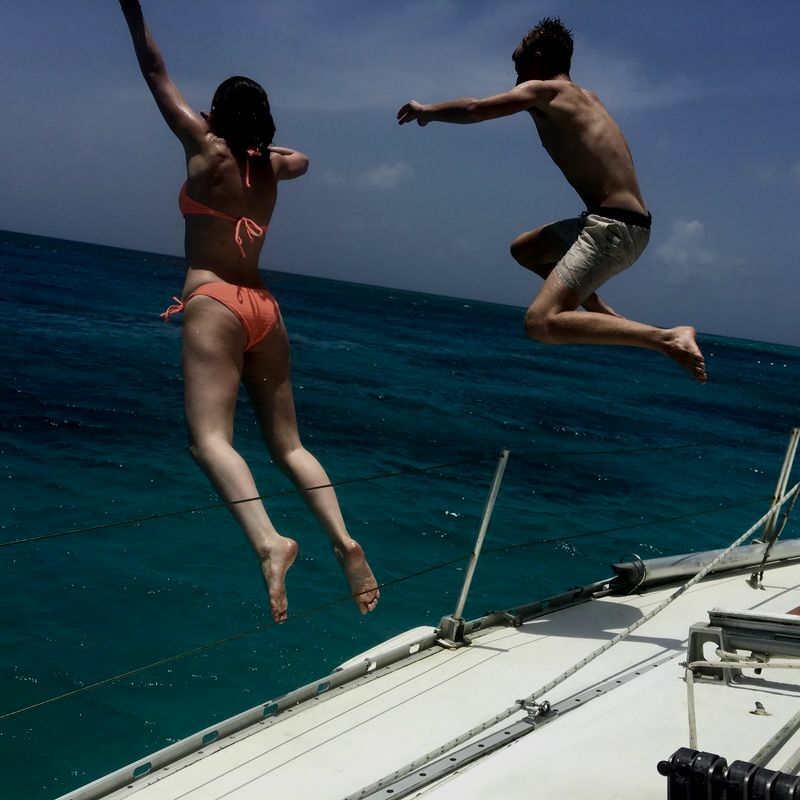 The exuberance of being 17..... Toby and Chloe, gleefully jumping off The Lark while moored for a swim. 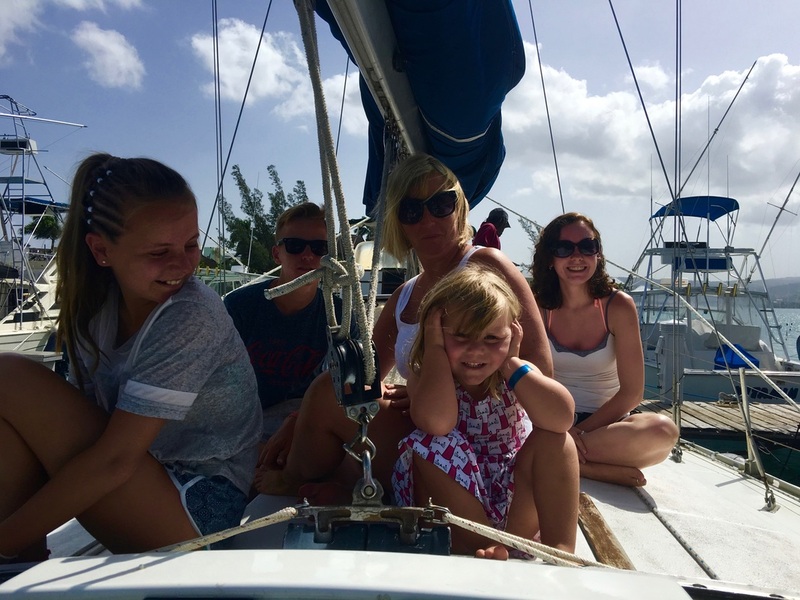 The Oliver Family, including Mia, who very formally announced that it would be her 4th birthday tomorrow, spent a half day sailing with us. They were happy to be out of their big all inclusive hotel for a day and we were most happy to have a great day with all of them. Jim is fairly new to sailing, but up for any adventure. He loves driving the boat and totally ignores FRED (frigging remarkable electronic devise) my auto pilot. Half day sail (4 hours): $400 for one to three persons, add $100 per person for four or five. Group discount for six or more is $100 per person. Full day sail (8 hours): $600 for one to three persons, add $150 per person for four or five. Group discount for six or more is $150 per person. Multi Day Charters: $750 per day or $5000 per week for up to four persons, plus provisioning.